He made a cameo in BATMAN V SUPERMAN, and we got to know him in JUSTICE LEAGUE. Now Arthur Curry, DC’s half-human, half-Atlantean superhero, jumps into the spotlight in AQUAMAN, opening on December 21. 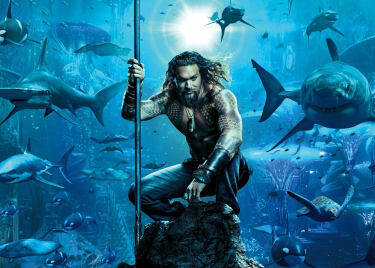 The film features far more characters than Jason Momoa’s guy who can talk to fish. There’s the Atlantean warrior Mera; Orm, Aquaman’s half-brother who probably wouldn’t call himself the villain even though he totally is; and Black Manta, whose imposing armor doesn’t leave much doubt about his alignment. Here are the characters of AQUAMAN! In DC’s New 52 story continuity, the AQUAMAN’s main source of inspiration, Arthur is the son of Atlanna, the Queen of Atlantis, and Thomas Curry, a lighthouse keeper. Atlanna returns to Atlantis, leaving Arthur to grow up on land. He gradually learns about his Atlantean lineage, in part through Vulko, his mother’s former advisor. 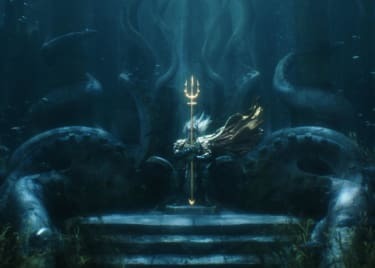 As an adult, he meets his half-brother, Orm and becomes king of Atlantis. Not long after, however, Arthur steps down from the throne and goes on to join the Justice League. 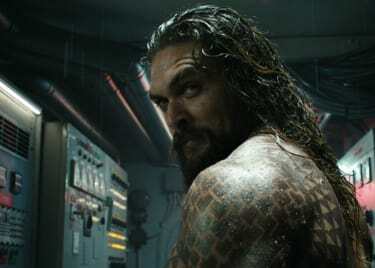 The character’s comic book origin greatly influenced his portrayal in AQUAMAN. In the film, he’s the son of Thomas Curry and Atlanna. He’s aware of his Atlantean heritage, but isn’t quite ready to embrace it — until fate forces his hand. 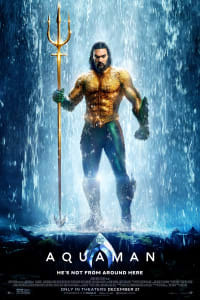 Being half-Atlantean, Aquaman has a variety of powers, including super strength, endurance, and the ability to communicate with sea creatures. Mera plays a big role in Aquaman’s mythology. She’s the daughter of the ruler of Xebel, an underwater kingdom at war with Atlantis. She’s a skilled warrior, and her father sends her to kill the supposedly wicked ruler of Atlantis. (That would be Aquaman.) Mera discovers Arthur isn’t the maniac she was led to believe he would be, and their relationship develops from there. AQUAMAN offers a different take on Mera, played by Amber Heard. She’s the daughter of King Nereus, ruler of Xebel, but was raised by Atlanna after her parents left for war. Mera feels great affection for the Atlanteans. She’s a trained warrior and as powerful as Arthur, if not more so. She has a deep understanding of the forces she and Arthur are up against, which makes her an invaluable ally. Aquaman’s half-brother Orm is also known as Ocean Master, and he lives up to that overblown name. In the comics, Orm and Arthur are driven apart by circumstances that could be spoilers, so we won’t go into all those details. AQUAMAN stays pretty faithful to the character’s comic book roots. In the film, Orm, played by Patrick Wilson, is the son of Queen Atlanna, and Arthur’s half-brother. He’s got a bone to pick with the surface world, and wants to put an end to humanity as payback for poisoning the seas. Orm is a skilled fighter with a great deal of power at his disposal. He’s also fully committed to his world-ending endeavors, which makes him a big threat to Aquaman and Mera. One of Aquaman’s most prominent enemies is David Hyde, better known by the much cooler name Black Manta. In the comics, Hyde is hired to get some of Aquaman’s blood. Multiple people die and/or are killed as a result, and the relationship between Arthur and David only gets worse from there. Black Manta’s backstory was tweaked for AQUAMAN. In the film, he’s David Kane, played by Yahya Abdul-Mateen II, a mercenary working alongside his father. One job takes them inside a submarine, but Arthur Curry thwarts their plans. Thanks to the end result of that botched job, David seeks revenge against Aquaman. With high-tech armor to power his fight, Kane is determined to kill the future king of Atlantis. In recent comics history, Queen Atlanna is mother to Arthur and Orm, and even fakes her own death as part of a plot to escape an abusive marriage. In AQUAMAN, Atlanna, played by Nicole Kidman, will likely have a similar if not identical arc. Her role is presumably small, but pivotal. She’s found unconscious at the shore by Thomas Curry (Temuera Morrison), who nurses her back to health. They fall in love and have a son, Arthur. Much like in the comics, their happiness meets an abrupt end. Shortly after Arthur’s birth, their home is raided by Atlantean soldiers. Wanting to protect her family from further attacks, Atlanna leaves them behind and returns to Atlantis. Think of Vulko — in the comics, at least — as Aquaman’s Obi-Wan, but with a sinister twist. Banished from Atlantis, Vulko finds Arthur, takes him under his wing, and ultimately starts a war between Atlantis and the surface world. Fortunately for Arthur, the film version of Vulko, played by Willem Dafoe, seems to be less treacherous. After Atlanna disappears, Vulko approaches Arthur to teach him about his Atlantean heritage. He also helps the young man control his abilities and learn how to fight. In the present, Vulko helps Arthur and Mera in their quest to stop Ocean Master’s attack on the surface world. Jason MomoaPatrick WilsonJames WanActionDC Extended UniverseAquamanJustice LeagueWarner Bros.